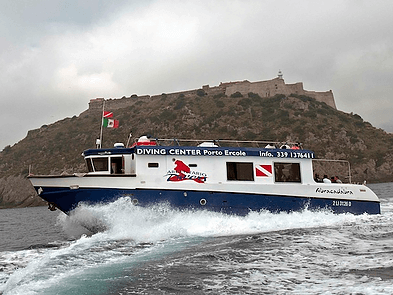 The boats are made to offer fullday service, single dives and technical div es to Giannutri and Giglio Islands, including lunch and open bar. Afternoon dive, sunset appetizer, night dive and dinner under the stars! 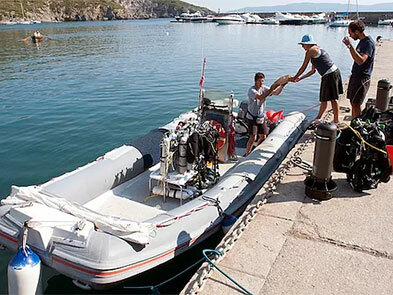 Boat made for divers, fast and spacious, 17 meters long with 2 JOHN DEERE engines, 500 hp each. RIB Master, 8.50 meters long, SUZUKY engine, 250HP, equipped for diving, used for mini fullday, single dives and technical dives.